two months summer internship in Tim Lucas' geometrics team specialised in the structural design of geometrically complex structures. 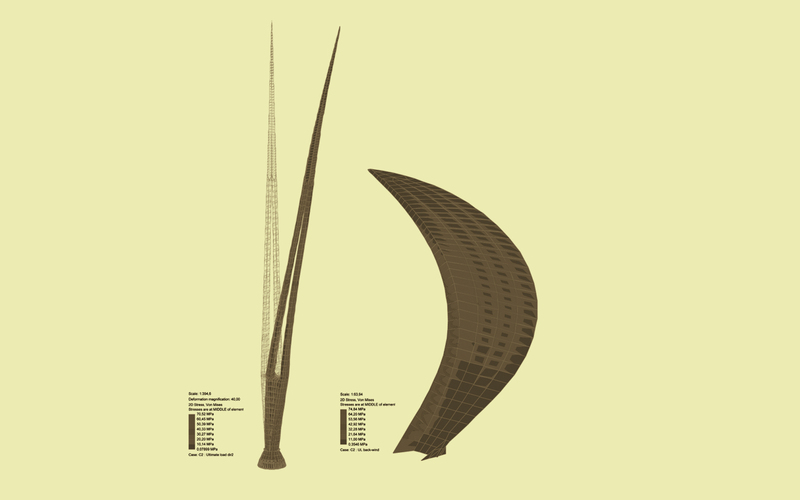 static and dynamic wind assessment for a 40m tall steel sculpture and a series of canopies designed by british artist Wolfgang Buttress for the city of Northampton. Up until now i follow the design approach I observed there: breaking down and optimising complex designs by gradually simplifying parameters leads to elegant and cost-effective results in line with construction codes and production requirements.